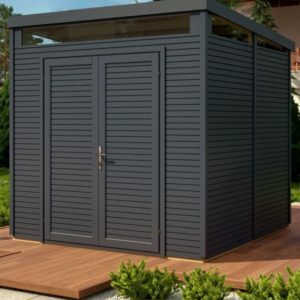 The shed walls are clad with pressure treated 12mm shiplap cladding. Both the floor and roof are made from solid board. 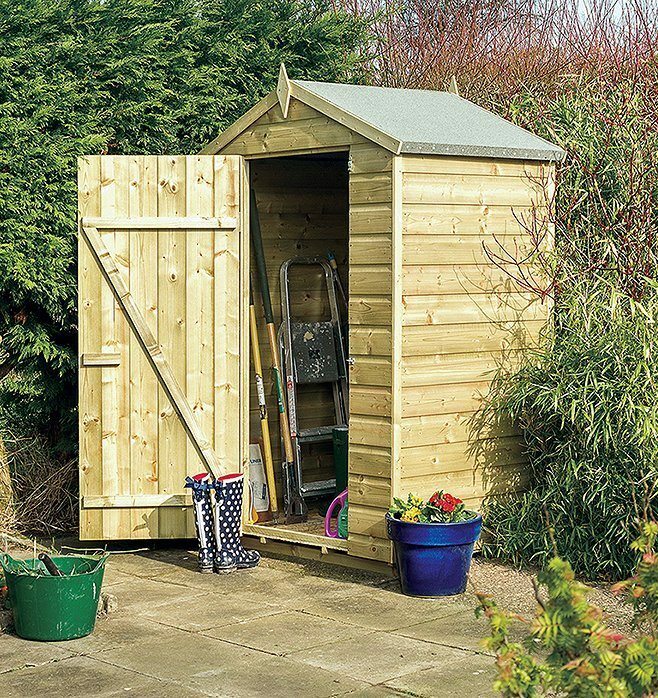 It is vitally important that the shed is placed on pressure treated bearers to ensure the shed timbers are not in ground contact. More details are in the building assembly instructions. The building is supplied with mineral felt for the pitched roof. 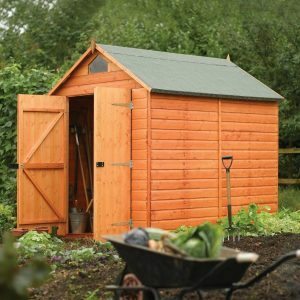 This timber storage shed is pressure treated with wood preservative but we would still recommend the application of a water repellent stain. Without this treatment the timber can become saturated in heavy rain. 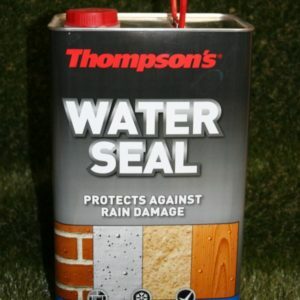 Therefore we would also recommend treating both the roof and floor solid boarding before assembly. Treat both items on both sides. 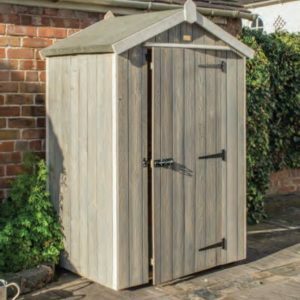 Ensure your chosen finish is suitable for use with sawn and planed timber. The Rowgar Oxford Shed & Lean-to (SHAP4x3PT) is delivered to kerbside in sectional form ready for the customer’s assembly. Therefore each building is supplied with comprehensive Assembly Instructions which can alternatively be downloaded from this page in PDF format.